Remote access and sharing of medical images is an idea that fuses key features of popular photo sharing sites with the security required for sensitive patient information. This area is seeing a continued expansion — we covered Mobile MIM’s VueMe app recently, which enables patients to share their medical imaging with physicians. 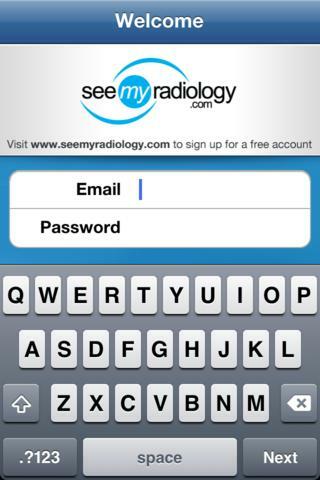 SeeMyRadiology.com is continuing this concept by introducing an iPhone and iPad app to compliment its popular cloud based medical image sharing website. 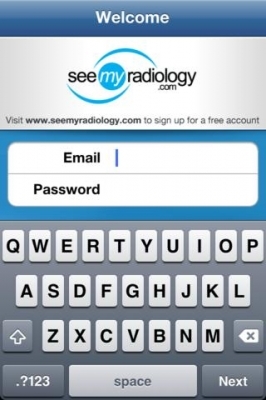 SeeMyRadiology.com is a cloud computing web portal that combines sophisticated encryption algorithms and compression techniques to grant secure access to image sharing, routing, viewing, and archiving of medical images. A tour of the website reveals the additional ability to securely and easily share patient images and collaborate with colleagues regardless of geographic location, while building relationships between patients and healthcare providers. To alleviate patient privacy concerns, the website mentions that the image sharing is HIPAA compliant with detailed audit trails. There is also a continuously monitored data center with biometric security where the images are stored, multi-layered network security, and encrypted data transmissions. In fact, to access the images,user authentication and identify confirmation must first occur. Registering with SeeMyRadiology.com allows for integratation with current EMR, PHR & HIS/RIS systems in order to receive HL7 reports & link studies. A diverse online medical community lets providers build relationships with referring physicians & outside facilities. To read more, please see PRWeb.